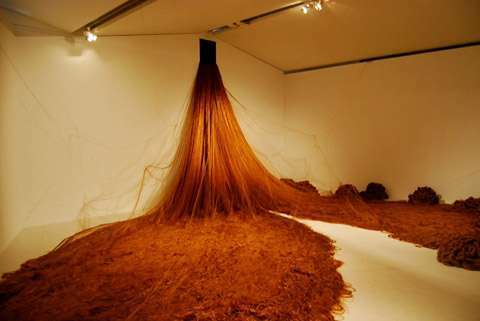 Artist Alice Anderson creates works of art using red doll's hair that mimics her own. 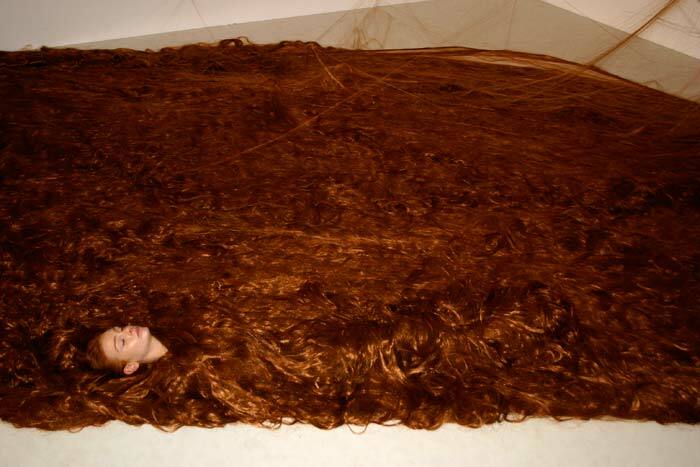 Although she does not always credit Rapunzel as her primary inspiration (she likes to confront some of Freud's psychoanalitic notions and remind the viewer of childhood), it's clearly an association many people have when they see rooms full of hair, or a house being overtaken by ropes made of hair. Q: Are there specific fairytale references in your use of hair, as in Rapunzel? "Alice Anderson: Tressed for success"
"I'm kind of against fairy tales. The story of a prince and a princess? Ridiculous," says Anderson. "For me, it's nonsense. On the other hand, anything to do with childhood, I use. I use a lot of toys." 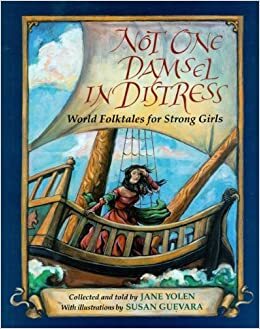 After referencing the book Fearless Girls, Wise Women, and Beloved Sisters, Amazon recommended Not One Damsel in Distress to me. It's the same concept: a collection of folktales, but only those which feature active heroines. "First, she states that stories about heroic women have been "hidden... disguised... mutilated... truncated." 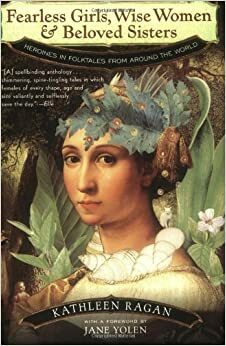 Now, I'm not a scholar of folklore, or even an avid reader of it, but even I was familiar with many of the tales she included in her book. So I feel that Yolen may have been a bit over-dramatic on this point. Another alarming statement is her explanation of why she only uses the term "hero" even though her protagonists are female--"Because heroines... sound like lesser or minor heroes, just as poetess and authress sound as if they are not as good as their male counterparts." This sentence caught me by surprise, since, as a woman, I would take no more offense at being described as an authress as I would at being described as a "chica" rather than a "chico" in a Spanish class. Using a specialized word such as "heroine" simply allows more clarity if it better suits the purpose of the author. At any rate, I felt that this letter revealed the author to be super-sensitive to feminist issues and perceives her gender to be attacked at any hint of a difference between men and women. The letter was flavored with a bitterness that presented the book almost as a revenge against men rather than a valuable collection to be enjoyed." Again, not having read the book or introduction myself, I can't really reply to Erin's comment. But I think her comment expresses what a lot of people feel-male and female-about feminists and how we analyze fairy tales and other stories. To be honest I've felt the same way at times when reading other books, often by authors I respect-not all arguments about fairy tales being sexist are as strong as others. The truth is that, even though women are now treated with much more equality than they have in the past, sexism is still alive and well. Many of you have probably already seen or heard of the Like a Girl campaign, which shows how harmful phrases like "you throw/run/etc. like a girl" can be on a girl's self esteem. The video below contrasts how younger girls perceive "like a girl" verses older-and how once girls have gone through adolescence they perceive "like a girl" to be a negative thing. Some female engineers at the University of Illinois were disturbed by how few women go into the field of science (only 11% of working engineers are female), so they are creating a line of female scientist dolls. In this Chicago Tribune article, they talked about observing middle schoolers giving up during science experiments, claiming "we can't do this, we're girls." It's a very tricky line to balance, but how do we encourage a feminism that is all about empowering women but not about finding offense at every hint of past cultures or possible discrimination? How can we talk about a Princess doing domestic chores as negative stereotyping without insulting all the women who still do primarily take care of their homes and children? If you're looking for negative portrayals of females, you can always find them. The fact is, in life there are weak and passive women, and there are cruel and vindictive women, just as there are men of all sorts, so we can't view every instance as an attack against all of one race. This topic has been touched on many times, by myself here on the blog (you can read more of the posts with the gender roles in fairy tales tag if you're interested) and by people much more informed by myself. But many people find a deep connection with a favorite favorite fairy tale, often from the versions they were exposed to as children. To hear someone say that your favorite tale is just a sexist example of women being confined to the kitchen is really disheartening-even insulting to anyone who really identified with the main character. Fairy tales can be interpreted so many different ways-you can be Cinderella any time you feel you're under-appreciated or overworked; you can be Sleeping Beauty when you feel like you're stuck in a rut and your life isn't moving in the direction you want it to; you can be Snow White when you feel trapped by someone's hurtful actions; Rapunzel if you feel distanced from the world; The Little Mermaid if your love interest doesn't feel the same way about you. We all find ourselves in similar situations, male and female, and can find solace in the classic tales as the characters find their way through their struggle. 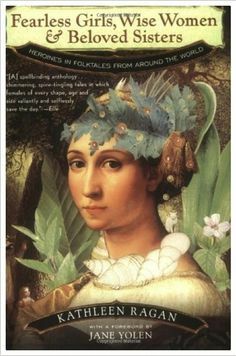 When historical Snow White variants are discussed, you generally hear that Basile's The Young Slave is the oldest known literary variant. Kate Forsyth recently had a Snow White feature on her blog; if you haven't read her spotlight blogs, I highly recommend them. She discusses a comprehensive history of each tale as well as the most common ways of interpreting the themes. They're each very well researched-you can also read her spotlights on Little Mermaid and Sleeping Beauty. "The oldest seems to be the medieval Norse saga written by the 12th century poet Snorri Sturluson, which sets the tale in the time of Harald Fairhair in the 9th century. The story is called ‘Snow Beauty’, and tells the story of how, one snowy winter’s day, Harald Fairhair fell in love with the most beautiful woman in the world and married her. When Snow-Beauty died, however, her body did not rot and her cheeks were as rosy as they had ever been. The king sat beside her, thinking she would soon come back to life. He sat so for three years, neglecting all his kingly duties, until his wise councillor bade him lift up the dead queen so they could change the bedclothes below her. As soon as she was lifted up, a rank smell of rotting rose with her, the body turned blue, and worms and adders and frogs and toads crawled out. So she was burned, and the king returned to his wits." So it's not exactly a Snow White tale, but with important similarities. 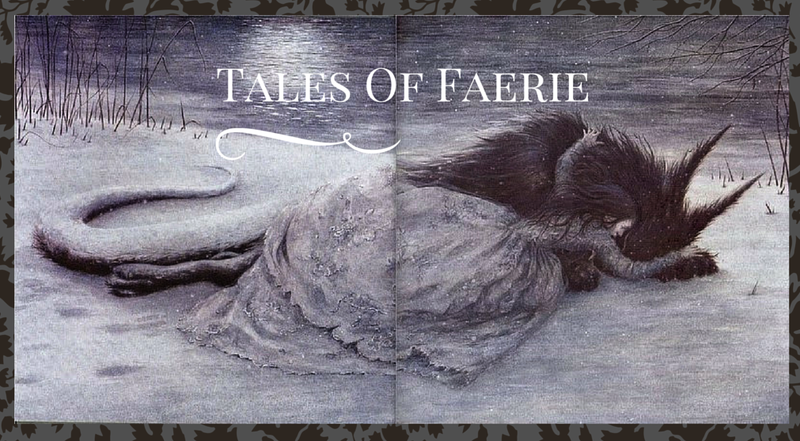 In fact, in Once Upon a Time: On the Nature of Fairy Tales, Max Luthi discusses how tales of unnaturally long sleep are handled differently in fairy tales verses saint's tales or legends. In both there is a supernaturally long sleep, but in the fairy tale world, once awakened, the character goes right on living as if she had only gotten up from a nap; she hasn't aged or suffered any physical consequences. But in other types of tales, someone might fall asleep in the woods, wake up and return to their town, to find to their surprise that it's all full of unfamiliar faces. He asks around for friends and acquaintances and finally learns that someone of his very name had lived in the town years ago, disappeared, and was assumed dead. At that time he realizes he was asleep for an unnaturally long time, and upon the realization, time catches up to him, and he ages and dies. Snow Beauty fits this second kind of tale better-it's more about the inevitability of the passage of time (or even the grieving process, for the King), a more creepy story than even the popular dark fairy tale. But of course, being in a different genre doesn't mean it's not a related or influencing tale; many fairy tales have motifs in common with myths and other ancient stories. "Next time I go to a movie and see a picture of a little ordinary girl become a great star, I'll believe it. And whenever I hear my wife read fairy tales to my little boy, I'll listen. I know now that dreams do come true." Jackie Robinson's life was far from perfect, before or after he became the first black man to play for professional baseball. I can only take so much of his biography* at one time because it's hard to read about all of the humiliations he faced due to Jim Crow laws and the racism that was prevalent all over America at the time. Read QuillandQwerty's Fairy Tale Paper! Fellow blogger and fairy tale friend, known on the internet as amo, started her blog quillandqwerty as she was researching for her thesis. It's finally done and ready for public reading-if you hop on over to her blog and follow the instructions. I have very much enjoyed reading the interesting tidbits she's shared with us and very sad that, now that the paper is done, she won't be blogging about fairy tales any more :(. But I highly recommend taking the time to read her paper-it's definitely longer than the average blog post, at 47 pages of text. Titled "Once Upon a Movie Screen: Four Favorite Fairy Tales and Their Disney Film Adaptations," the paper explores the history of Sleeping Beauty, Cinderella, Beauty and the Beast, and Frog Prince; from the classic older versions to their respective Disney films. I really appreciate her balanced approach; amo avoids the tendency to either hate on Disney or to be too defensive, but to really look at the cultures in which the various versions of the fairy tales were produced, and show how each version, from Perrault to Grimm to Disney, was a reflection of the culture. 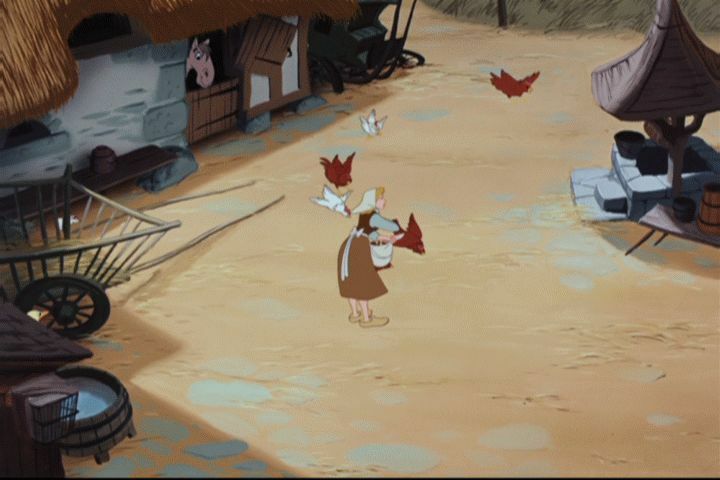 Remember the scene in Cinderella when she feeds the chickens? 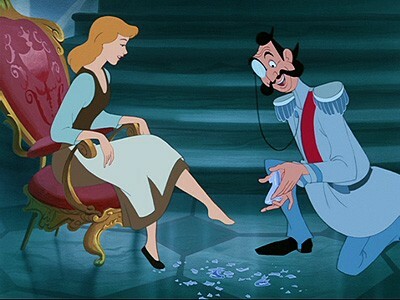 In the whole film, we see Cinderella doing many domestic chores, and always singing sweetly and appearing like there's nothing else in the world she would rather be doing. When she does many of her cleaning tasks, she puts a scarf around her hair. Beauty and the Beast, made 40 years later, was a much more feminist film. 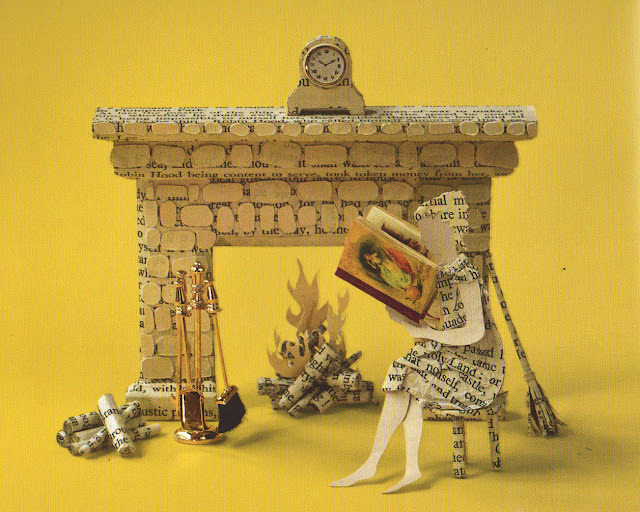 This heroine longs for adventure and loves to read. Rather than waiting for a prince to come find her, she turns down her suitor and ends up becoming the role of the rescuer, rather than rescued, as she finds love. 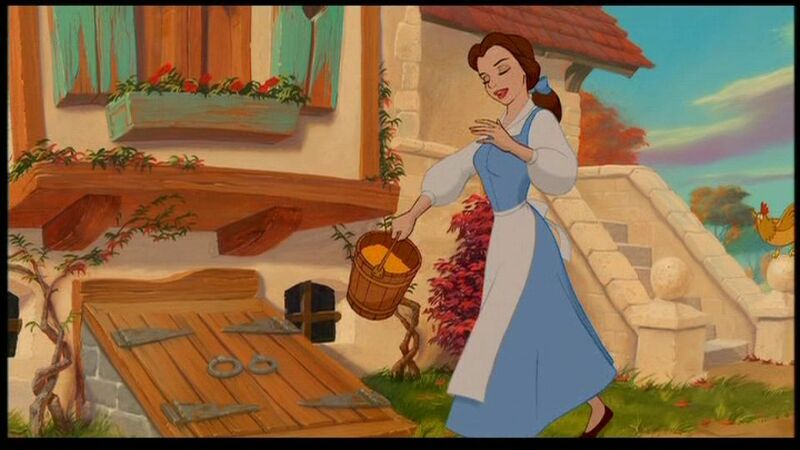 In fact, we never see her do any domestic chores at all, with one exception: after Gaston proposes, she goes outdoors and begins to feed the chickens, like her predecessor Cinderella. But her attitude is completely opposite. 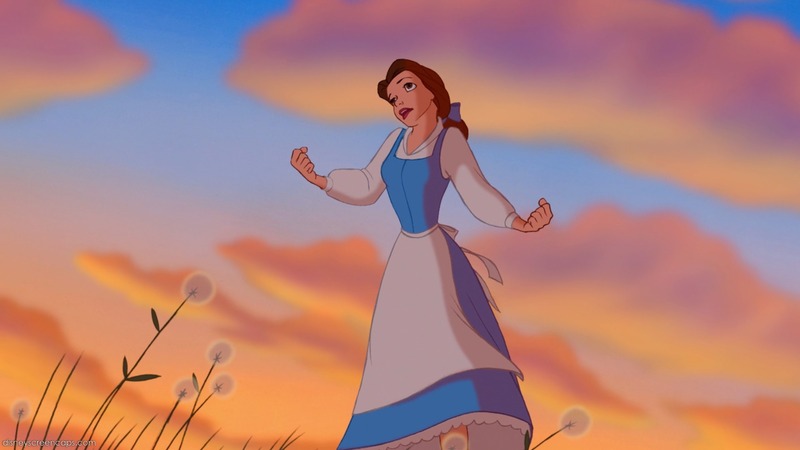 Not cheerful and complacent, Belle sings about how ridiculous it would be to be Gaston's "little wife" in his old-fashioned picture of domestic bliss. 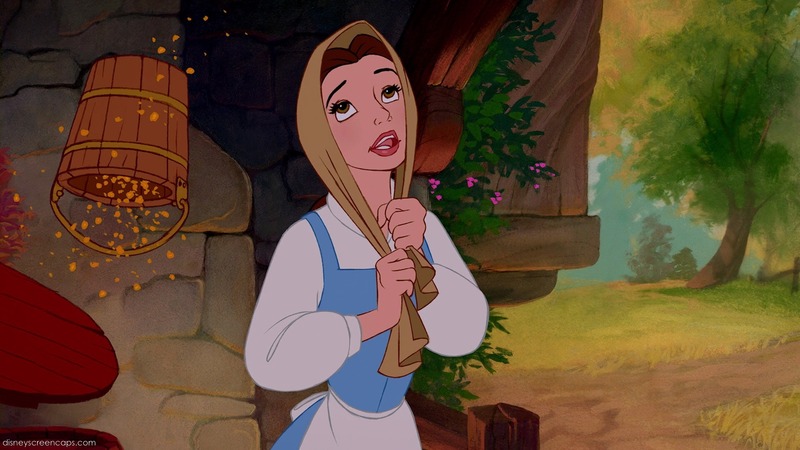 She even, at one point, briefly throws a scarf around her head, like Cinderella, but it's a mockery; in the end, she never even finishes the chore, running off to the fields to sing about longing for adventure. Usually I point out that, historically, young girls simply didn't have options like they have today. The best Cinderella could probably hope for if she left her stepmother's house would have been another position of servitude, which could have been just as bad a situation. When people write modern versions of Cinderella, yes, by all means, give her another solution. Have her ask a teacher for help, go to DCFS, in today's world there is hope and no one should be raised by abusive guardians. 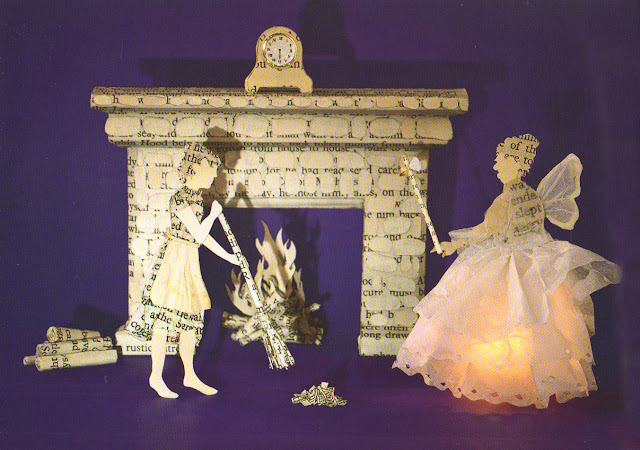 But the historical Cinderella was trapped by her culture as much as her stepmother. Women were usually not able to go to college or hold the same jobs or positions of leadership. I remember being shocked and horrified to learn in a college Education class that some of the first women accepted into American college, at Oberlin College in 1837, had to do the male students' laundry and cook their meals in addition to their own studying. 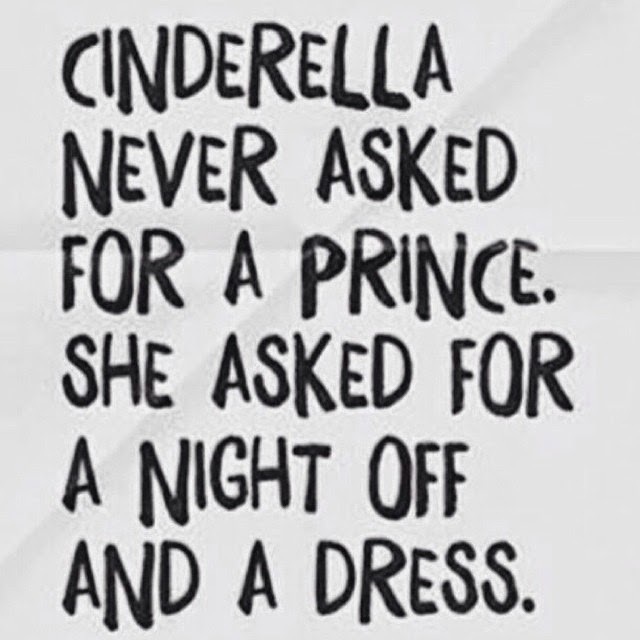 No wonder so many women have identified with Cinderella over the years-they have been treated just like her; their parents, husbands, and culture at large saw them as capable of little more than domestic work. Really, if we really examine her historical and mental state, we shouldn't be surprised at all that Cinderella was submissive. We should be impressed that she was even dreaming of a better life. This quote is ironic. If you ask any fairy tale aficionado if Disney's Cinderella is passive or active, they'll tell you passive-she's easily one of the most criticized. I read this quote and immediately thought of Cinderella crying in a garden before her fairy godmother showed up and just gave her everything. Is this true? 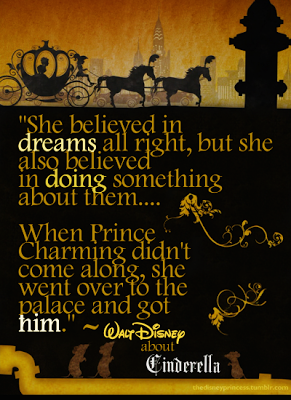 I don't know the movie well enough that I can say for sure, but I don't actually remember her wishing for the prince. Snow White and Sleeping Beauty very directly do, but I think Cinderella really just wants to go to the ball-to escape, dance, and have fun. Much more healthy desires than sitting around hoping a prince will save you. Anyway, Ellen DeGeneres created a new version for iphones, and I was excited to see a "fairy tale" category (there's also a Disney characters category which is pretty fun). These are included in the free download of the game (there are other categories you can buy). A couple of us tried the fairy tale "deck." I somewhat disagree with their definitions of fairy tales ("Peter Pan" was one-I had trouble guessing "Little Red Hen", it never really gets discussed in fairy tale circles, although it is technically an old folk tale). It might be fun to play if you had a circle of other fairy tale nerd friends, but one person in our group got "Katie Crackernuts," and I was the only one who had ever heard of it. It was pretty hard to get someone to guess a title that obscure to the general population. 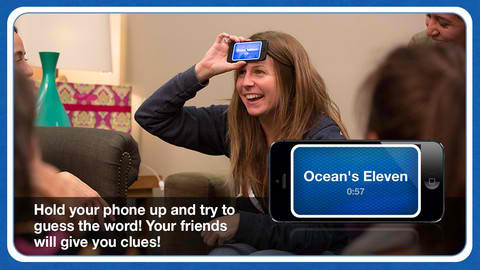 But the game would be a fun weekend activity, whether or not you play with the fairy tale option! It's really quite difficult to make accurate generalizations about fairy tales. 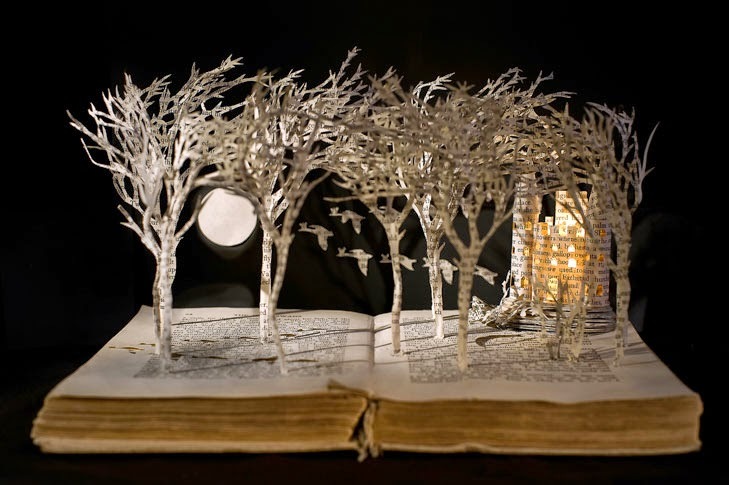 Although people do it all the time, they're usually using the most well-known collections of folk tales as their source (most often, Grimms' "Household Tales"). Yet the Grimm fairy tales in common knowledge are a collection of fairy tales brought to us by two brothers, which have undergone change after change due to editors, publishers, illustrators, and translators, which served to reinforce and enlarge differences in gender roles, and utilizing the tales as moral lessons for children. 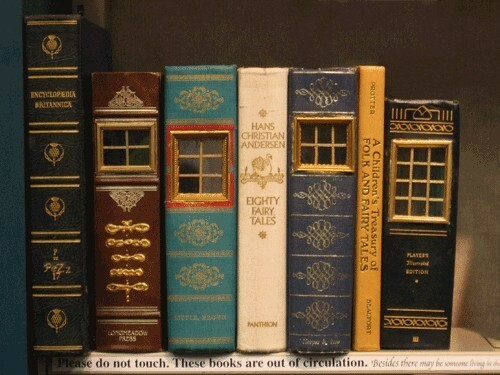 Most copies of Grimms' fairy tales is not a complete edition, so the editors have to choose which tales to pull and which illustrations to use (and much has been lost or changed in translation into English as well), and often these collections don't represent the full scope of the collection well. 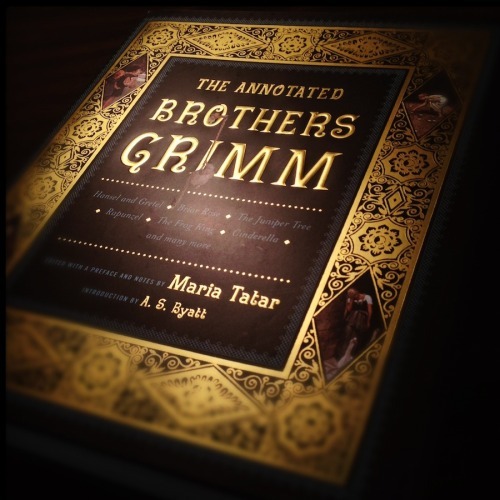 Maria Tatar even states that part of her purpose in creating The Annotated Brothers Grimm was to restore the gender imbalance present in most collections. Yet there are so many other fairy tales that exist outside the Grimms' and other standard collections. Some tales, such as Cinderella, have hundreds of variants all over the world, while others remain known in only small pockets of the world; yet those tales are a significant part of that culture's history as well as a valid piece of folklore for consideration. In 1998 Kathleen Ragan helped counter people's incorrect assumptions about fairy tales in general by putting together a collection featuring all strong, female protagonists, Fearless Girls, Wise Women, and Beloved Sisters. It's a great collection. Sometimes you go through a fairy tale book and turn to a tale you don't know and realize it's not really the best story and there's a reason it isn't well-known; yet this book seems to contain all hidden gems (from what I've read, I haven't read it straight through). Ragan also includes helpful notes at the end of each story. Once there was a king whose son was of an age to marry, and he wanted to see him happily settled. But the king wanted "a good, hard-working daughter in law and not some silly featherbrain." 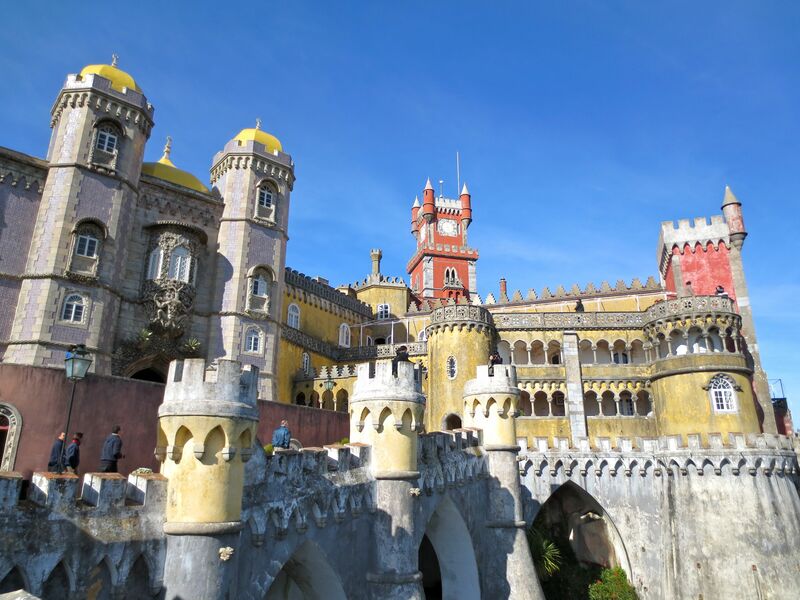 So he built a great palace with a thousand rooms and invited all the neighboring kings and princes to bring their daughters and see which one could find her way through the maze. Skilled workmen from all over the world created the palace, and when it was finished there were all sorts of visitors from abroad, eager to try their luck. Yet none of the girls could find their way through the complicated rooms, and the king began to lose hope. Among the crowd was a poor old woman and her daughter, and the daughter watched the royal girls leave without success and thought she might like to try. Her mother scolded her for being so bold, but when the king's son saw how lovely the girl looked he asked her to try. The poor daughter went into the palace and from room to room, finding an engagement ring in one and wedding dress in another. When she came out, she had a token from each of the rooms with her as proof that she had been there. She and the prince were married. The king asked her how she had been able to navigate the labyrinth of rooms: the girl had brought her whole distaff full of thread into the palace, left it at the door, and held the other end of the thread all around the palace. On her way back she wound up the thread again on her spindle so she didn't get lost. "And from that time on there has been a saying that clever folk can be found in mud huts too, not only in palaces." 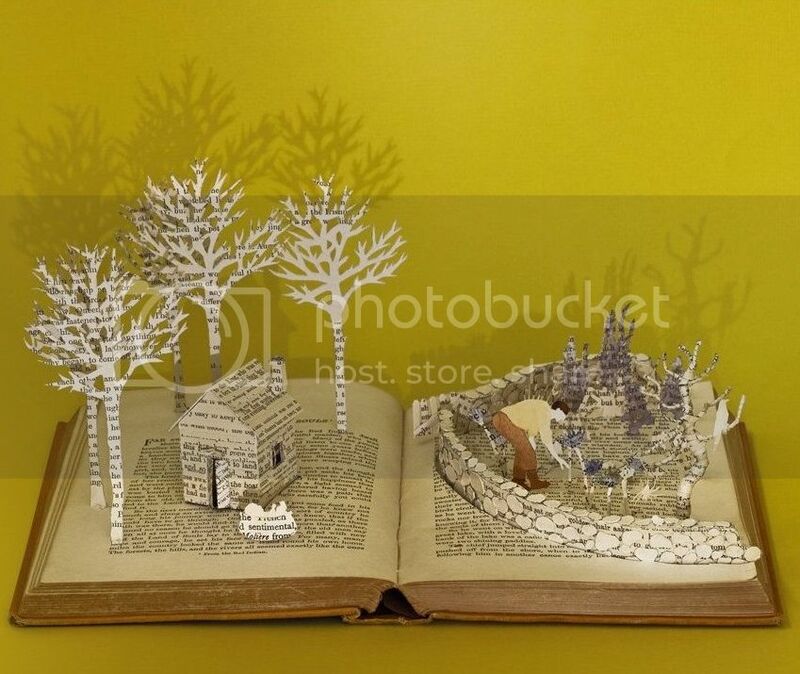 Incredible book sculptures by Su Blackwell. 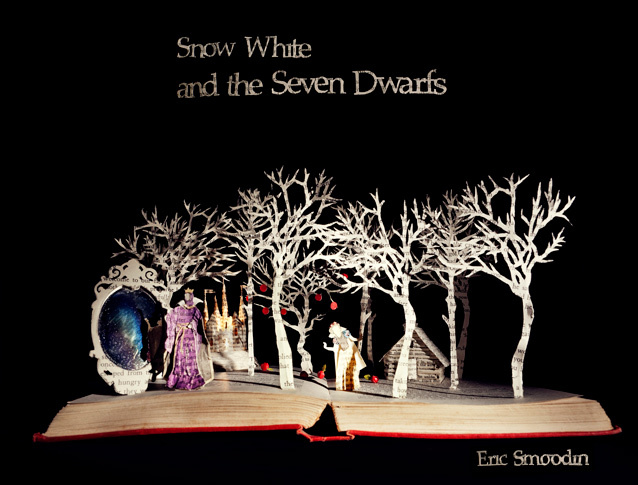 She has also done set for a stage version of Snow Queen, which Once Upon a Blog's Gypsy shared earlier this year. 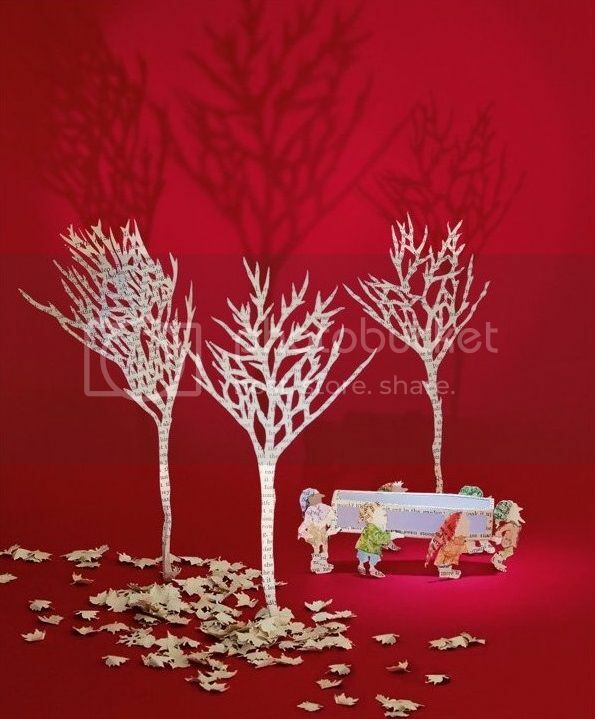 Fans of her work may want to buy the book Fairy Tale Princess, as seen on Surlalune when it was published in 2012, which is illustrated by her works. She has also done many other magical/fantastical stories, from Narnia to Wizard of Oz to Alice in Wonderland (even Wuthering Heights! Big fan of the Bronte sisters). Like pretty much every female, I've had my share of body image issues. I'm not the ideal size of a model or A-list actress, although I'm overall healthy, but it's hard not to cave to societal pressure which says that beauty is found in such a narrow standard. Yet the thing that strikes me about this poem is that fairy tales themselves don't promote the hourglass figure, but recent visual interpretations of fairy tales do. For that matter, pretty much any visual media-films, billboards, the fashion industry-promotes that same figure; fairy tales are hardly alone in this. That's the beauty of tale that can be told or read-when a little girl hears that the princess was the most beautiful in the land, she can picture whatever she wants in her head (which is, most often, herself). Fairy tales very rarely highlight specifics of appearance, other than a preference for blonde hair over all. For example, the princess in The Frog Prince is described as "so beautiful that the sun himself, who has seen everything, was bemused every time he shone over her because of her beauty." 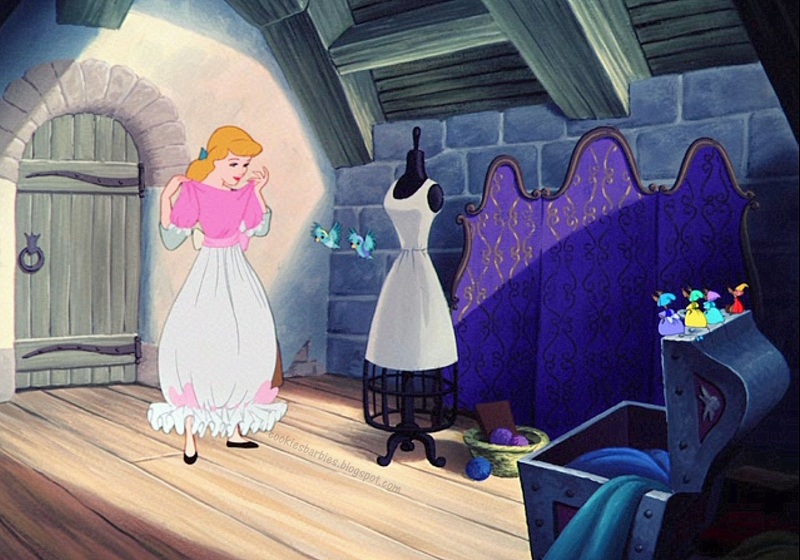 Cinderella is hardly described at all other than the effect that her clothes have on her. Sleeping Beauty was given the gift of beauty and looked lovely in her sleep, but in none of these instances was any feature described in detail at all. They could have been tall or short, petite or large, any hair color, it's all up to the imagination (Snow White is an exception, but if anything proves that beauty is found in non-blondes as well). (All of these examples are taken from Grimms). And while I'm all for promoting finding beauty in all shapes and forms, we have to be careful not to go to the opposite extreme and criticize the naturally skinny. The poem would seem to indicate that anyone with a tiny waist is anorexic, which is certainly not true either. And while we shouldn't judge people for their weight, we should be concerned about people's health, and healthy bodies come in many varieties-health is not just about a number on a scale, but an indication of the body's ability to fight off infections and keep you alive longer. Yet, many internet reviewers love this poem and seem to agree with the idea that fairy tales themselves, not the media overall, embody unfair beauty standards. But I do like Yolen's positive spin at the end, about anticipating a future that does celebrate more body types. How does this poem strike you?